JotForm is a simple but powerful online form builder that gives you the power of creation straight from your browser window. You are not required to download any program or plugin on your computer, and you are access to JotForm incredible array of online tools is given to you for free. Amazing online form builder! Create online forms and publish them. Get an email for each response. Collect data. With JotForm you can create any type of form that you want – basic questionnaires, advanced forms with many types of customizable and interactive objects (check boxers, buttons, drop down menus, ratings) , survey tools, tables, charts, as well as advanced power tools such as Captcha generators, image embedding, password boxes, and html code. Amazing online form builder! For more advanced users, JotForm offers wide arrange of payment options and integration tools for many popular cloud services that can immediately start receiving information from forms that you have built. You can also check out JotForm's very handy PDF editing guide called how to edit a PDF! 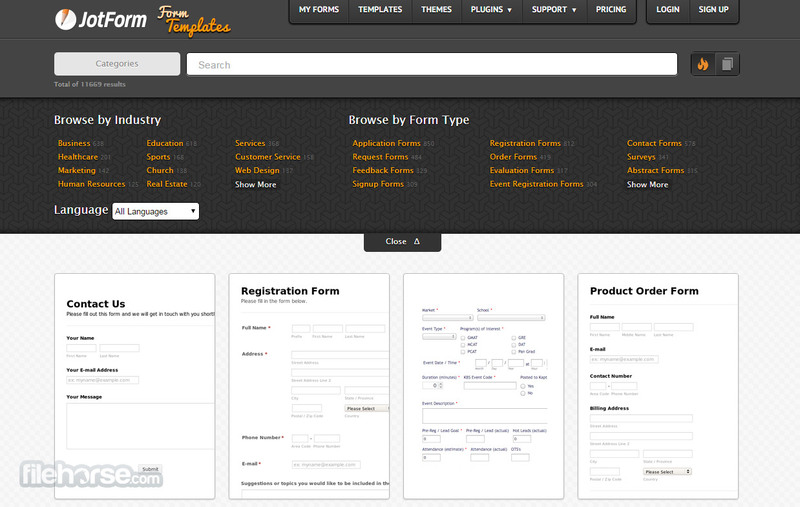 There was a time once when creating online forms was a big pain for web designers. Then came JotForm, first WYSIWYG online form builder, and turned it to a joy. Today JotForm has over 750,000 satisfied users. JotForm is a free online form builder. For basic usage, upto 100 submissions/month, you can use JotForm fully. No crippleware. No ads. Just what you need. 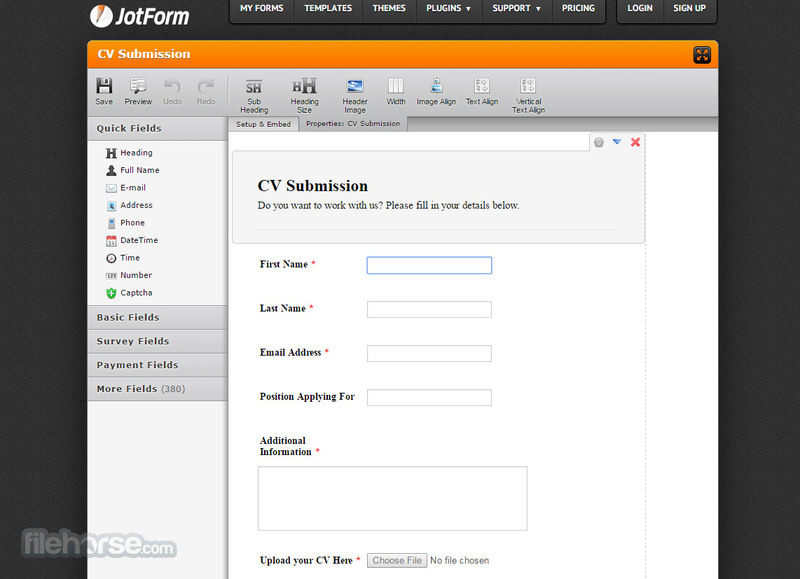 When you need to create online forms quickly, JotForm is your best web app. It doesn't waste your time with registrations or trials. 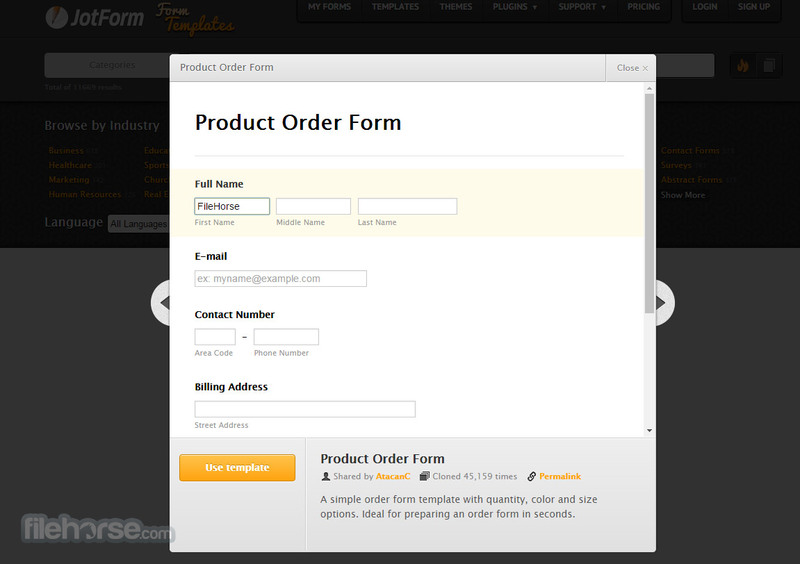 Just create your form and post it on your web site with a single line of code. Literally in minutes!